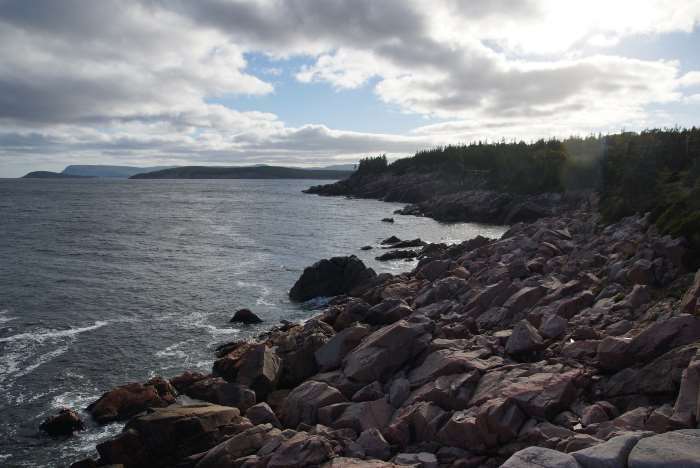 On Cape Breton Island’s east side, you’ll find several places to stop and enjoy the scenery, and even take a hike along the rugged coast. All of these places are conveniently located just steps away from the Cabot Trail. 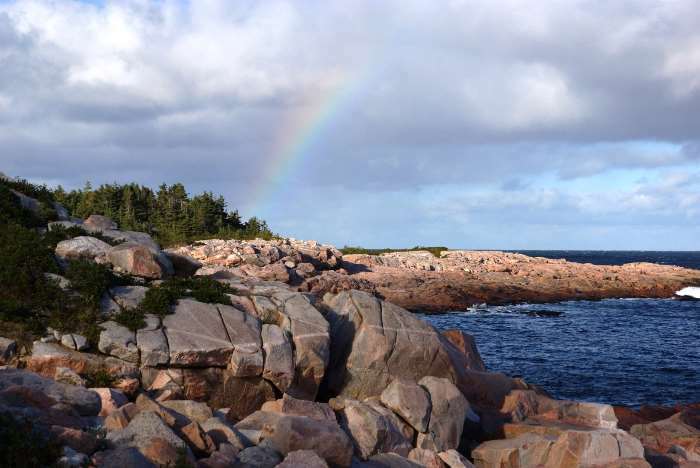 You can either enjoy the view from the road… or hike out onto the rocks at places like Lakies Head and Green Cove. The Cabot Trail makes a loop around Cape Breton Island, at the north end of Nova Scotia. 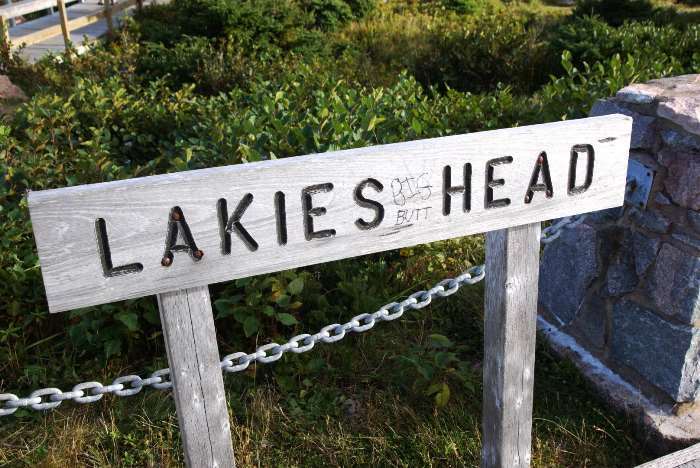 Locations like Lakies Head, Green Cove, Black Brook Beach, and the Coastal/Jiggling Cove Trails are located on the east side of the island, south of Neils Harbour. This spot provides a nice view to the south. You can see several coastline features from here, including Ingonish Island, Middle Head, and Cape Smokey in the distance. 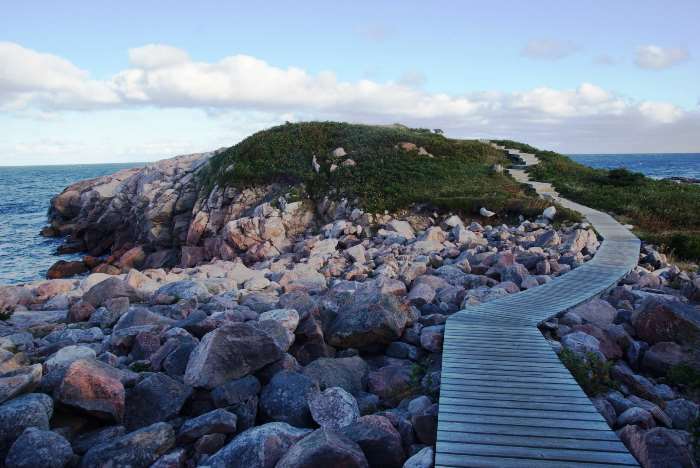 You’ll find even more space to explore at Green Cove, just a short drive north of Lakies Head. Here, a boardwalk takes you out onto a small peninsula, giving you a good view to the north and south. I had been dodging rain showers on the drive up the coast, and at this spot, it paid off. A rainbow appeared briefly, to the north of Green Cove. And looking towards the south, I’m pretty sure you can still make out Cape Smokey — the most distant mountain in the middle of the picture. 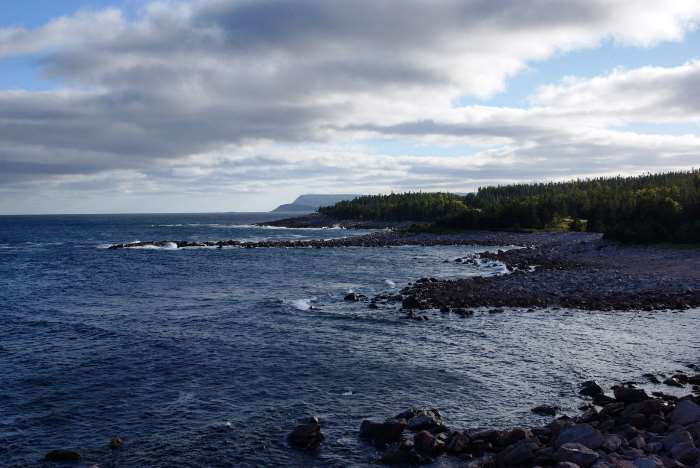 Green Cove makes the list of Cape Breton National Park’s 26 hiking trails — although the truth is, it’s just a .2 kilometer round-trip to the end of the peninsula and back. If you’re in the mood for a longer hike, there are three nice trails just up the road a bit. The Coastal Trail runs along the coast for more nearly six kilometers. Black Brook Beach provides access to this trail, as well as the Jack Pine Trail (2.3 kilometer loop through the forest). The Jiggling Cove Trail starts alongside Cabot Trail, just slightly north of Black Brook Beach, and cuts through the forest to intercept the Coastal Trail. You could use Jiggling Cove and Coastal together, along with a walk along the road, to make a loop. From there, you’ve almost reached the point where the Cabot Trail turns west. You’ll find an alternate, scenic route up ahead, and we’ll talk about it on the next page. Take your time and enjoy the scenic drive along the Cabot Trail’s east side. You’ll find numerous viewpoints and a few hiking opportunities in this area. You could easily make this portion of the loop into a half-day or a full day of exploring.